Pacific Western Brewery is introducing a new style of beer to its popular “Pacific Pilsner” brand. Peter Boettcher, Pacific Western’s certified German brewmaster created and brewed this malt beer to celebrate the success of Pacific Pilsner and the brewery’s tradition of creating quality, accessibly priced beers for discerning beer lovers. 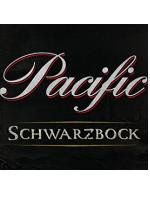 Pacific Schwarzbock is available at private beer and wine stores throughout B.C. in specially boxed, individual bottles commemorating the 20th year of ownership by the brewery’s President and CEO Kazuko Komatsu. The limited edition packages feature pine beetle wood and collector-edition, swing-top glass bottles and are available in a very limited quantity for $8.99 each. “I am extremely pleased and honoured to share the celebration of 20 years’ of ongoing quality improvement and teamwork to create outstanding beers for British Columbians to savour and enjoy through the launch of Pacific Schwarzbock,” said Ms. Kazuko Komatsu, President and CEO of Pacific Western Brewery. “This Schwarzbock is a beer to sip in the comfort of some good friends or while listening to your favorite music. It’s great on its own, with savoury food, or you can even enjoy it as a dessert—either by itself or with some decadent chocolate or vanilla ice-cream and your favorite cake,” said Boettcher. Legend has it that the original recipe for Pacific Schwarzbock was lost for centuries and was recently rediscovered and recreated by the fine craftspeople at Pacific Western Brewery. Peter Boettcher has over 25 years’ brewing experience, having received an honors bachelor’s degree in brewing science from Doemens World Brewing Academy in Munich in 1992, after gaining hands-on brewing experience at breweries in Steinach, Rothaus in Germany and Heineken of Switzerland. He joined Pacific Western Brewery in early 2010.